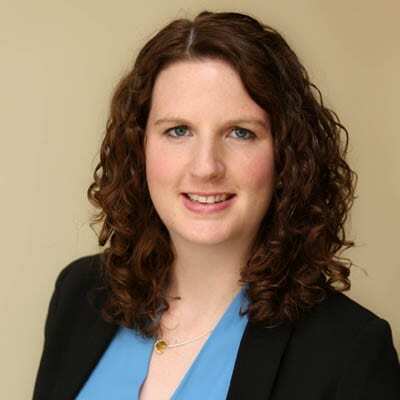 Linda Barry is Assistant Director of the Small Firms Association, a national organisation that exclusively represents the needs of small enterprises in Ireland. She is responsible for policy & lobbying, “NOW” Magazine, surveys, committee representation, business queries, and SFA events (including the SFA’s Annual Lunch, Annual Conference, and Business Bytes events). Linda graduated from Trinity College, Dublin with a BA in History and Political Science, receiving first class honours. After graduating, Linda went on to work in various research roles in Trinity College, The Ideas Campaign, and Europe for Ireland. With a strong background in European affairs, Linda worked with Publicis Consultants as an EU Public Affairs Consultant; her role involved designing and implementing advocacy strategies, writing position papers, organising events, and maintaining relations with the European Commission and European Parliament. Linda later went on to work with the Institute for International and European Affairs as Senior Policy Analyst. During this period, she conceived and project managed the IIEA’s ‘Environment Nexus’ project. The project aimed to foster better policymaking at national and EU level and to resonate with a wider and younger audience. Her efforts did not go unnoticed, receiving a nomination for the Eircom Spiders in 2013 and another as a finalist in 2014 for the Samsung Digital Media Awards. This was the first time the IIEA was shortlisted for these prestigious digital media awards. The Small Business Association is the voice of small business in Ireland, with over 8,000 member companies. The SFA works with government and key decision-makers at all levels to ensure that the economic environment is conducive to small business establishment and development. They secure the best deal for small firms by providing dedicated professional support and by offering a wide range of services to members, including economic, commercial, employee relations, and social affairs advice and assistance.